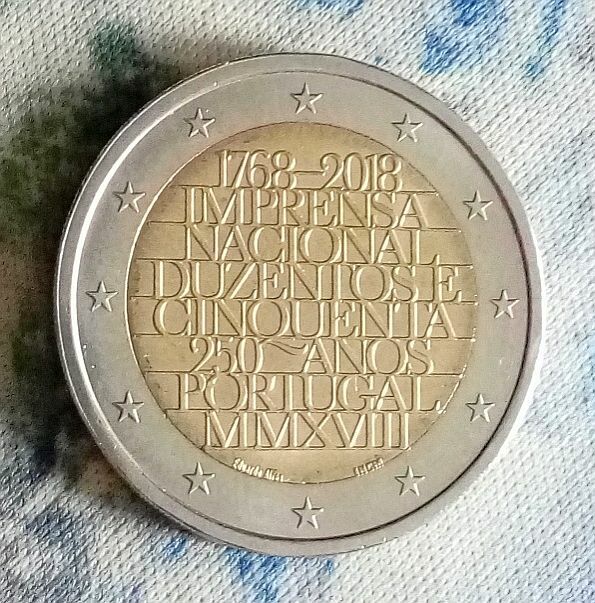 1€ 2018 yesterday in Algeciras (southern Spain). And now the 5 cents "A". 5 cents "F" and 5 cents "J". I recieved my very first 2018 coin, a 5c, this week at the Albert Heijn To Go at Schiphol Airport. Perhaps, LArdennais should make his first update ... It'll be fast, but necessary. Thanks. 2€, first that I've seen. They are not often in circulation in the same year that they've been minted. Picture as a gift ! Got 1 cent "A" mint mark. 2€ "25 years of Slovakia" ! 2 days ago i have a 50 cent 2018. Yesterday my first Helmut Schmidt in Groningen. See how his fingers are open to smoke a sigaret! From Lisbon's El Corte Ingles shopping gallery.